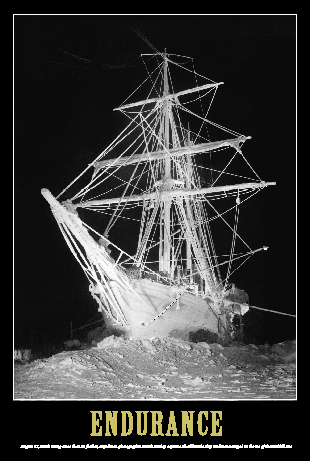 The incredible photographs by Endurance Expedition photographer Frank Hurley illustrate brilliantly this amazing story of struggle and the will to survive. Each image is licensed from a reputable source. 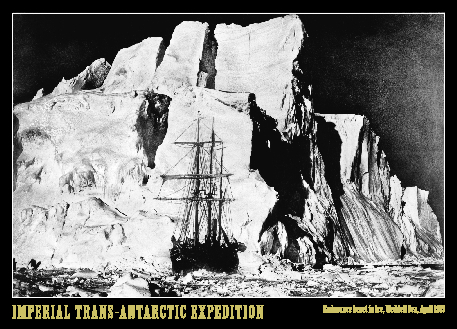 Faithful to the original images, we are dedicated to reproducing Hurley’s spectacular photographs in the highest quality possible and strive to reflect in our products the spirit and sense of adventure of the original “Endurance” expedition members. We are proud of the quality of our products and stand behind everything we sell. Our posters are for sale online at Top of the World Books. Our posters measure 19.5” x 27” (49.5 cm x 68.6 cm) and are printed with a four colour process on a Heidelberg Speedmaster Press. 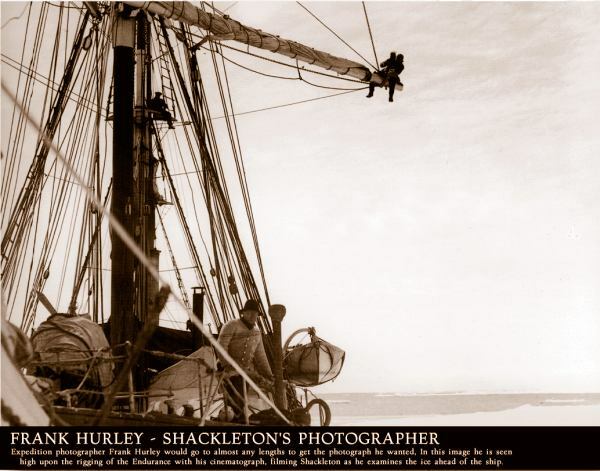 To bring out the full, rich tones of Hurley’s original photographs, a heavyweight “80 pound” Potlatch “Vintage” paper, with superior printing characteristics, is used. Vintage is an acid-free, archival paper and has a minimum of 10% post-consumer recycled waste. These posters are ready for mounting and framing. We print with non-toxic inks that contain as much as 65% vegetable oils (linseed, soybean, and canola) and the resins of pine and fir trees, extracted from the waste wood of the paper and lumber industry. These inks are characteristically easy to recover when the paper is recycled. Endurance Designs is committed in its search for even better environmentally sensitive materials and production processes for our products.